Announcement 📦Pay shipping on your first item, everything else SHIPS FREE (US orders). ✌🏽if you use coupon code and order doesn’t meet min. purchase requirement, it'll be cancelled and refunded. LIVE (color)FULLY™! 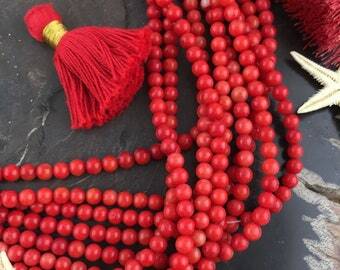 with our tassels, pom poms, bone beads, vinyl record beads, African beads, Nepali pendants and beads, Indian textiles, & many more authentic, ethnic worldly treasures. 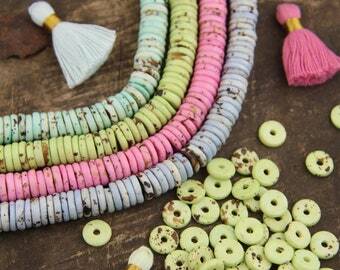 WomanShopsWorld is a treasure trove of ethically sourced, globally curated handcrafted goods. 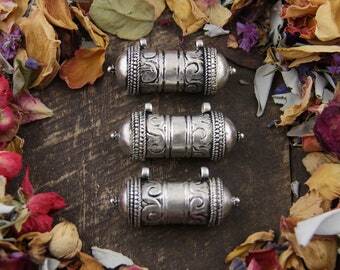 We make creating intentional, on-trend jewelry a joy with quality, authentic supplies. We add new items daily, so check back regularly or follow me on Instagram @womanshopsworld for updates! Thank you Etsy for featuring me!!! My copy, photos, and product presentation are all copyrighted and are my personal property. Please do not use images without consent and please keep originality in mind when creating and presenting your own products. Do your thing, not a copy of my thing! 📦Pay shipping on your first item, everything else SHIPS FREE (US orders). Small African Basket, Rwandan Basket //African Wall Basket, Mother's Day Gift, Housewarming Gift, Table Centerpiece, Decorative Bowl // 7.5"
Ganesh Hand Painted Indian Glass, Silver Pendants, Designer Quality Rajasthani Jewelry Making Supply, Intentional Yoga Inspired Gifts, 1.75"
Shipping was very fast and these were the perfect addition to my Mala. I used the spacers after every 4th bead. Thank you. 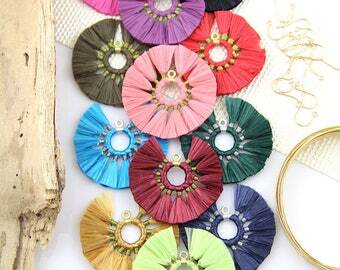 All Jute Tassels 20% off this week for our Weekly Flash Sale! 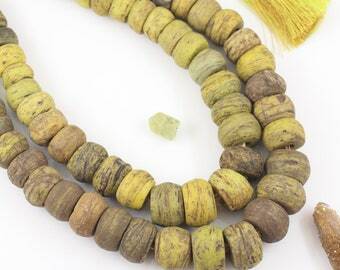 Natural Jute Tassels with Gold or Silver Metallic Loop, Tri-Color Binding, Handmade Jewelry Making Supplies, Fringe Necklace Pendant, 3 1/4"
Choosing ribbons and trims in India, my favorite part of our journey! I am the self-proclaimed Queen of Tassels! 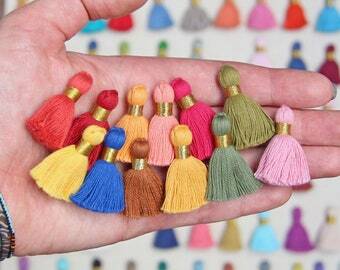 We've got tassels galore at WomanShopsWorld! 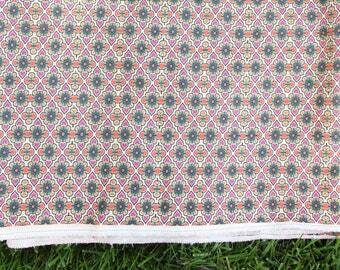 A new heap of vintage African textiles: Aso Oke, Ewe, Kente, Tuareg. 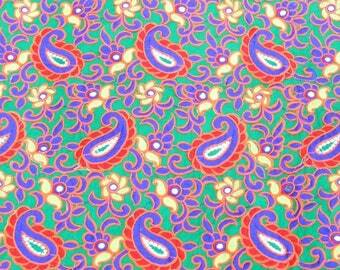 I'm Carter, the color-loving, travel-loving, textile-hoarding, over-achiever behind WomanShopsWorld. An avid creator, shopper, and traveler, I have always dreamed of opening a boutique of all the things that make my world go 'round. I used to say that this etsy shop is the beginning of my dream, but I realize now that it's more than that: WomanShopsWorld is that dream come true. Being a jewelry designer myself, I am so enchanted with so many types of beads and supplies, that I can't possibly use them all myself. So WomanShopsWorld gives me a chance to play with these goods, handle them, photograph them, and share them with you. I find great joy in curating these crafting supplies that I've gathered here. Each photo session is a magic-filled experience for me. I hope that magic translates and inspires you. Growing up in a house where my mother spoke French to me, and my father traveled the world while working for the zoo, I have been instilled with a fascination with the world around me, and the people and cultures that make this such a beautiful, colorful place. The art of adornment that is so rich in other cultures has always been my personal preference on style. It's been said that my great-grandmother was the "original hippie of South Carolina." Traveling to India with my native husband, I stumbled upon a land where I am quite certain I have been before, in another life. My fascination with faraway lands runs deep. 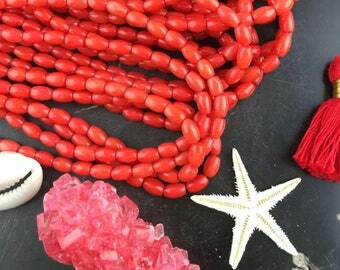 My husband and I own a wholesale bead company where we specialize in semi-precious gemstone beads; we have a collective 30+ years in the bead business. 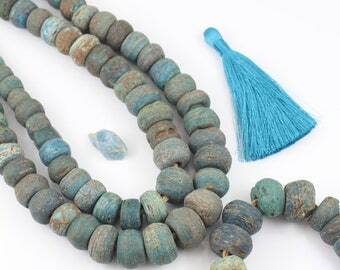 We travel frequently to source, design, collect, and bring home beautiful beads from all over the world. We travel mostly to India and Nepal, but we have our eyes on many other horizons and places where we hope to travel. We work directly with the small, family-run business that we purchase from, and help them in continuing their traditional crafts. As our company has grown, it has become less hands-on, and more of a job. That's where etsy comes in! I created this etsy shop as a way for me to have more hands-on time with the types of beads and supplies that I love. I never imagined that it would turn into a full-time engagement! Selling on etsy allows me to present my goods in a much more creative atmosphere than a traditional website does. I can photograph my items in a style that appeals to me, and really have fun with the presentation. Etsy also also allows for customer interaction, friendship-building, and networking, so it is much more fulfilling than a traditional website. I donate a portion of my proceeds to human-rights organizations around the world. I am currently donating to V-Day, a global organization dedicated to ending violence against women worldwide. Read more about V-Day here: http://www.vday.org/home. This is my way of giving back some of the gifts that I have been blessed with. Many people ask if my items are Fair Trade. While I am not certified "Fair Trade," I do guarantee that all of the items that I sell are ethically made. In fact, many of the items that I sell provide work for Indian and Nepalese women who would otherwise have no means of income. So the production of the goods greatly empowers them. As humans, we create borders and name countries, but I believe we are all one and the same. WomanShopsWorld is an extension of my love of and fascination with humankind, travel, color, and love of the world. I hope you delight in the things I have gathered for you here, from around the world. I am the woman behind WomanShopsWorld. I have a fascination with the world at large. There's much too much to do, to sit around on the couch. I have an eye for color and a knack for finding the beautifully unusual. Explore your world! Aveesh is the one who stays up late & calls India, Africa, Nepal, etc. He helps get the goods here ASAP! He is also my partner in life, in travel & in love! Oh- and he drives to the post office every day- that's how you get your packages so fast! This is Gypsy. He is in charge of making us laugh and making sure that we don't spend ALL day on the computer. Sandra is our newest team member, who lovingly packs up your orders & keeps our endless trove of treasures organized. She has always loved travel & collecting her own eclectic treasures, so working in this shop has been a technicolor dream come true. Our block print artisans use the traditional Rajasthani technique of hand-carved wooden block printing to make these textiles for WomanShopsWorld. I have blocks carved exclusively for WomanShopsWorld and show our artisans what pattern to stamp the designs in. A co-op of women makes our recycled flip flop bangles in Mali. 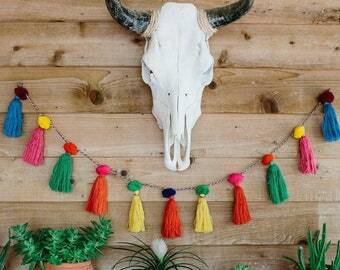 We work with a talented family of pom pom and tassel-makers in Peru, who normally supply their wares to the llama-market ;-). We work with this group of artisans who hand-cast and finish our resin Buddha statues. Our baskets are made by a co-op of women basket weavers in Rwanda. They use native Sisal to handcraft these beautifully functional artisan baskets. The tassel makers who work for WomanShopsWorld are experts in textiles. They make all tassels exactly to my specifications, so I can offer you the tassels of your dreams. The Spirit Den makes Handmade Magical Home Goods & Apparel for any Occasion. WomanShopsWorld has aligned with The Spirit Den to create a limited run of custom WSW Pouches. Yes! Wholesale options are available, as I gather and curate all of these goods directly from their source. Please message me with any wholesale inquiries. 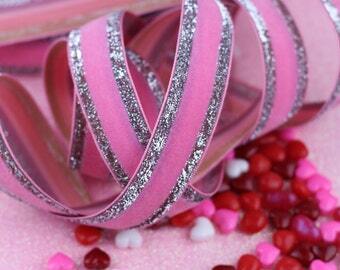 I offer a sliding wholesale discount on items bought in BULK. As the product margins vary widely, the easiest thing is for you to send me a screen shot of your shopping cart. That way I can see exactly what items you are interested in, and let you know what discount I can offer you. Please message me with any wholesale inquiries. Please note: Vinyl Record beads have their own discount scale. Yes! All WomanShopsWorld orders ship wrapped in festive tissue, so your order will arrive ready to gift. If you would like us to leave out the receipt, say so with a note to seller at checkout! I placed an international order that has shipped already... where is it? Hmmmm... with first class international shipping, unfortunately the postal service often will not provide any updates at least until the package reaches its destination country. Sometimes it will not update until it has cleared customs. Once we drop your goodies off at the post office, we put our trust into those fine people that they will get them to you as quickly as possible. With that said, first class shipping does not provide an estimate of how long it will take to arrive internationally. In our experience it can take anywhere from 11-30 days, sometimes a little longer. Of course we always cross our fingers in our customer's favor! My order says shipped... where is it? Hmmm... to find out, please click on the tracking number provided in your purchase history. Often the USPS website updates much faster than Etsy's tracing service. There have been several instances, where Etsy is showing a package as being in "pre-transit" when it is showing as having arrived in its destination city when I go to USPS website! I'm located in Charlotte too, can I come shop in person? Maybe. I accept returns on any un-altered items if you contact me within 3 days of receiving your order. Please contact me BEFORE you return the goods so that I am aware of what items you would like to return. Please note: Any return requests made after 3 days of receipt of goods will incur a 10% restocking fee and tassel/pompom returns will incur a 20% restocking fee. Sorry guys, but it takes a lot of time to pull them and even more time to put the back! I do not accept returns on ribbons, trims, or fabrics that are purchased by the yard. Once they are cut for you, they are yours. I think that's pretty fair, don't you?! Absolutely! You will be charged shipping fees according to the exact weight of the items in your shopping cart. There are no hidden fees; we charge you exactly what USPS charges us.